Crockett turns one this Sunday. 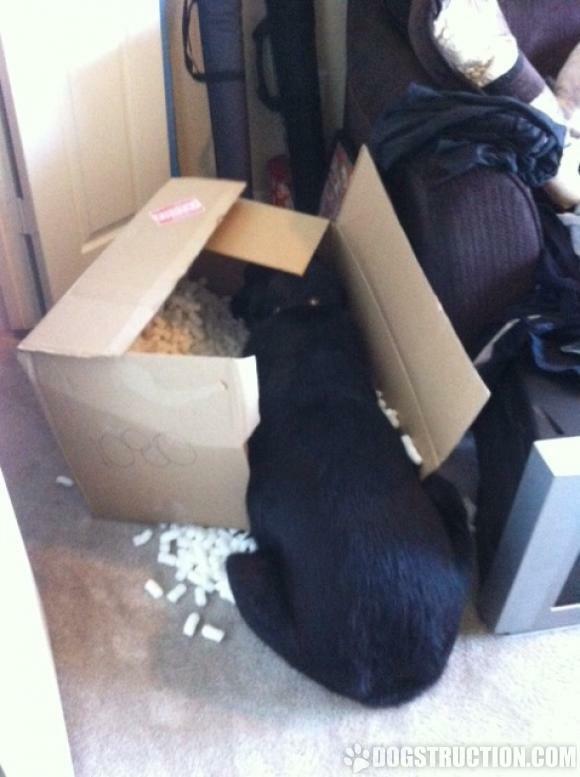 I got him a present but wasn't planning on opening it until Sunday but apparently he had a different idea!! I ate your mattress Mom! My dog Abby has a real problem eating my pillows, so while I was at work, I put them in the closet so they would be in one piece when I got home. 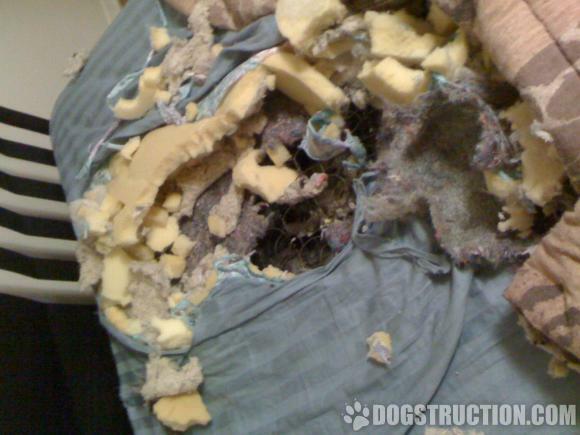 To my surprise, she ate through my sheets, through the mattress right down to the springs. I leave my pillows out now. 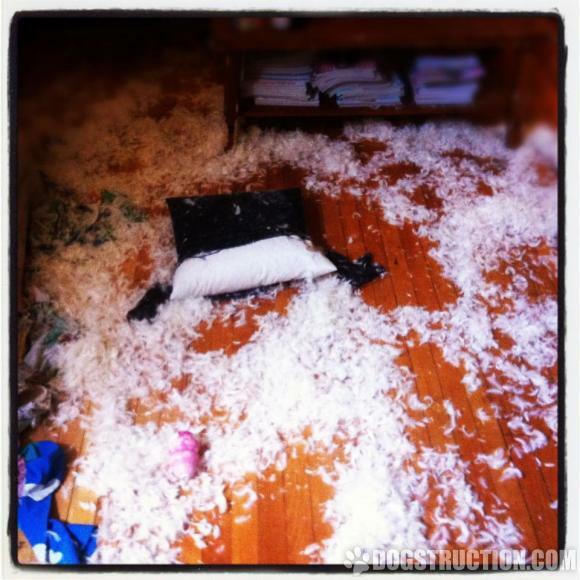 Dog Struction Posted Jun 20 2012 by Sarah B. My dog, Rilo, is almost a year and a half and my roommate's dog, Marlie, is 3. When they are left out together, they destroy everything. But if it's just one of them left out, nothing happens. So, we decided to try and keep both out and this happened. Needless to say, we've decided they have to stay in their crates when we aren't home.